I have just read this article by Valerie Stevens. I cannot pass comment on the quality of paid content, because I never pay for content. However moving swiftly onto Sheree Zielke’s thoughts on writing quality, personally I couldn’t give a monkeys what a professional writer thinks of my grammar, tone, context and for the record I like rambling on in long sentences which don’t go anywhere. Insanely lazy day today, anyone would think I drank too much the day before… in fact I will blame it on work requirements. Plan of action for today, Grampians, annoyingly every tour was full so it was a no go. Instead, it seemed fitting to meet up with Hastinio who I lived with at Uni. Lunch and a quick pint as ever turned into a couple of pints, then a couple of pints and a bottle of wine, then a couple of pints and a couple bottles of wine, then the gin started. Messy afternoon and evening, but brilliant fun! 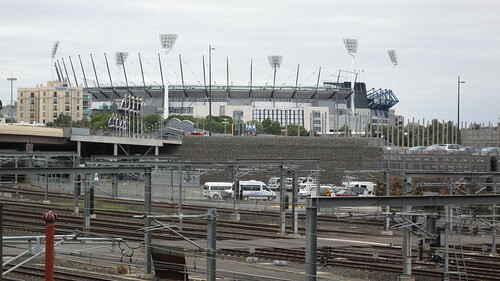 Lunch was courtesy of Pugg Mahones, then we moved onto the Melbourne Rooftop Bar / Cinema before hitting Softbelly again. Big thank you to him and his t’other half Duffinio. Sorry for quitting out and splitting this post into two, fatigue kicked in and no more blogging was upon me. No I would like to follow on and continue after lunch. For the record lunch was Chicken Schnitzel (it’s a favourite over there so you have to try), it wasn’t bad and it was free with the tour package I had purchased so can’t complain. Up bright and early thanks to some calls from the UK, thought about going back to sleep but instead went down to reception and asked if they could get me on a tour which started verrrryyyy soon. Basically I went to reception at 7:30 to get me on a tour starting at 7:45 from a few blocks away. Somehow they managed it. 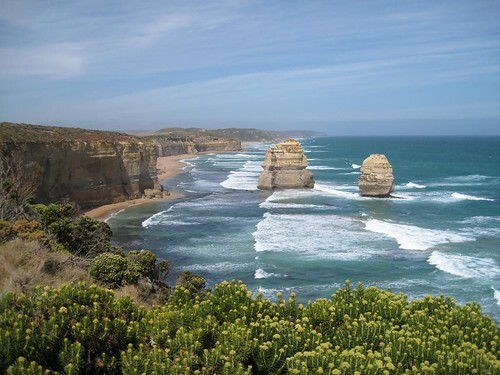 And the tour, as I guess you have already twigged was the Great Ocean Road tour courtesy of ATP Tours. Twas pretty busy, which was a shame because it meant I had to sit on the right hand side of the bus, and for the entire day the Ocean was on the left. Ah well. Look at it this way, if everyone who is friends with me on Facebook sponsors me £1 and everyone who follows me on Twitter sponsors me £1 I will have around £1000. So get to it people! For the record, you will be seeing all of these links A LOT over the next few months. There seems to be a bit of banter going around on Facebook at the moment about the new design which they have just launched. 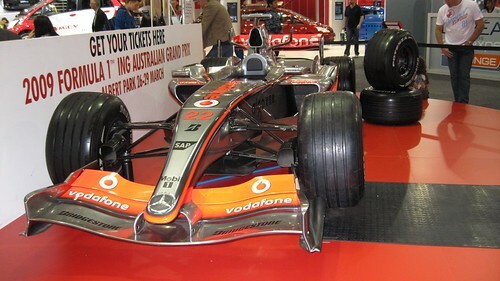 How random is it the ways in which you find things to do… Went down to reception this morning to buy some more internet time and found a leaflet on the counter advertising the Melbourne Motorshow and today was the last day. I thought why the devil not! What a strike of luck! 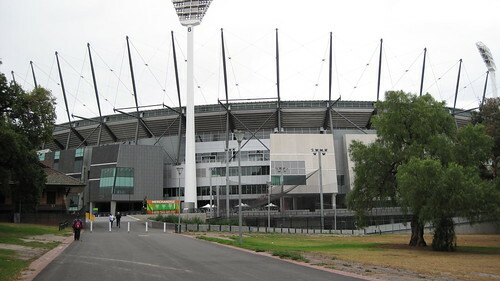 Had been planning on heading over to the MCG today for a look around, when looking into the tour I read something about not getting a full tour on event days so hoped that today wasn’t an event day… But it was, and that’s the luck, Victoria vs Queensland in the final game in the Sheffield Shield. The play was terrible, final day of a four dayer and Victoria were still batting in their first innings, got themselves up to 800 (no idea why) before declaring 500 runs ahead leaving no reason for Queensland to do anything but block out for 60 overs.